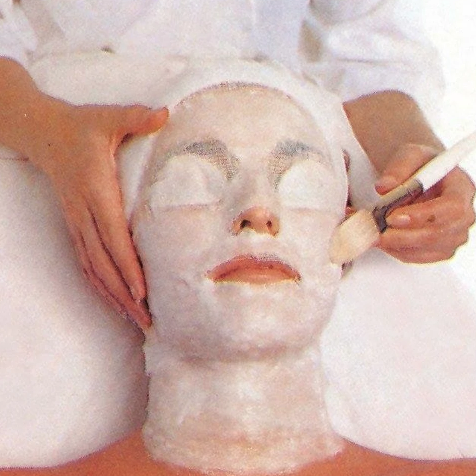 * we use collagen – elastin moisturizing cream and massage the skin to stimulate softer, plumper skin cells. *then we use a specially formulated goat milk and honey thermal paraffin wax which is painted on to the gauze mask while warm and left on for half an hour. *this helps the skin to absorb the collagen – elastin moisturizing cream, soothing and relaxing the facial muscles to help release tension and leave the skin bright and glowing.